Multi use concentrated cleaner formulated for everyday use in the cleaning of polished floors. 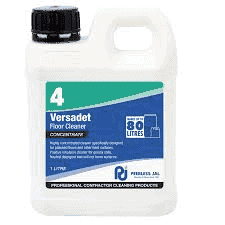 VERSADET’s buffered action allows thorough cleaning and removal of greasy soil without detriment to the floor or redepositing of soilage. 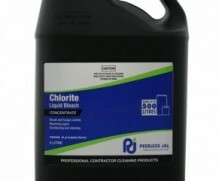 High dilution rates provide cost effective cleaning solutions. This product is best used in manual cleaning operations. May be used as a neutral spray and wipe cleaner.